>It’s a quiet time…not in my life but in my home garden. I’m just letting things be right now. 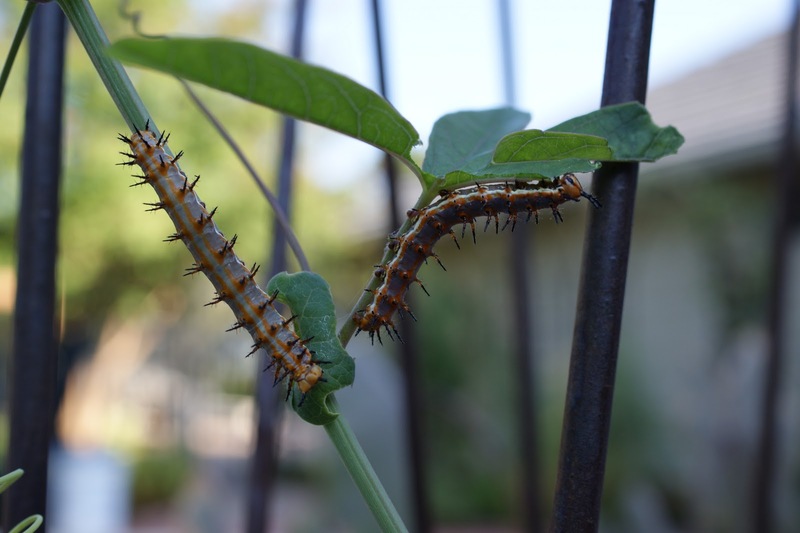 But I saw some photos back from the fall of caterpillars on our passion vine that I forgot to post so now is a good a time as any. These were Gulf Fritillary caterpillars, I believe, We had put a passion vine right outside off of our porch and the kids were thrilled with the results. 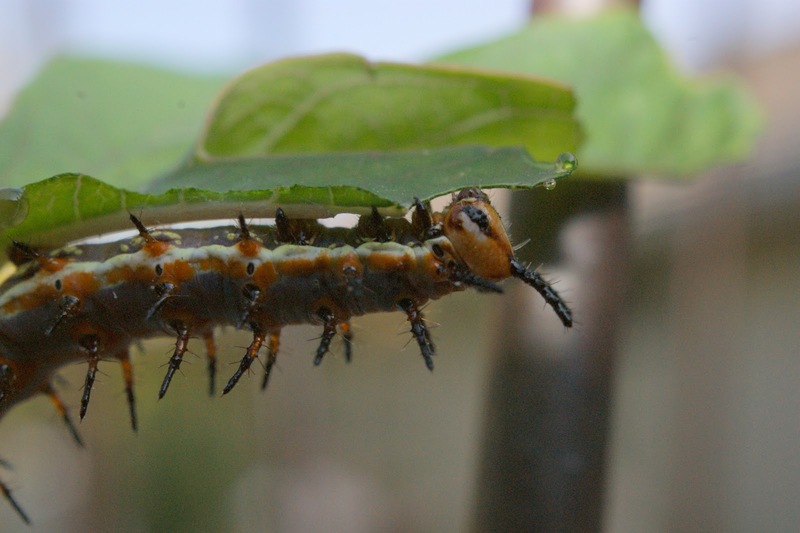 At one point we had 5 or 6 caterpillars at once on the plant and the real question was whether the plant would survive being chewed down to a nub. Here’s a close-up view. So beautiful. 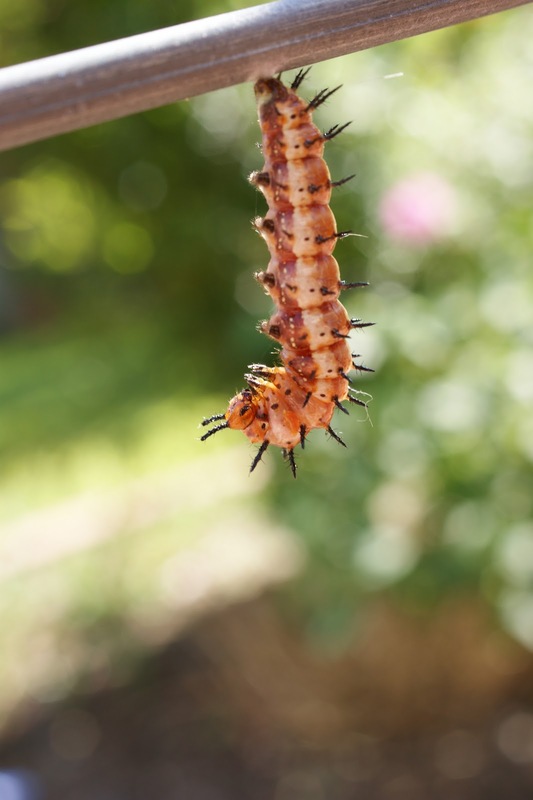 After some time of gorging and growing and gorging and growing, the caterpillars would suddenly be one day hanging upside down. Very still. In our case, they were attaching themselves to the cattle panel piece we had installed for the vine to climb. And before you knew it, and never it seems when I was watching, they had turned into a chrysalis to begin their transformation. Now I know at this point I should showcase the butterfly coming out but alas, there was not moment in front of the camera. So I am uploading a beautiful shot of one from the internet. But we enjoyed quite a few of these in our fall garden. Since the fall, we have moved our passion vine to another location where it is growing tall and strong! 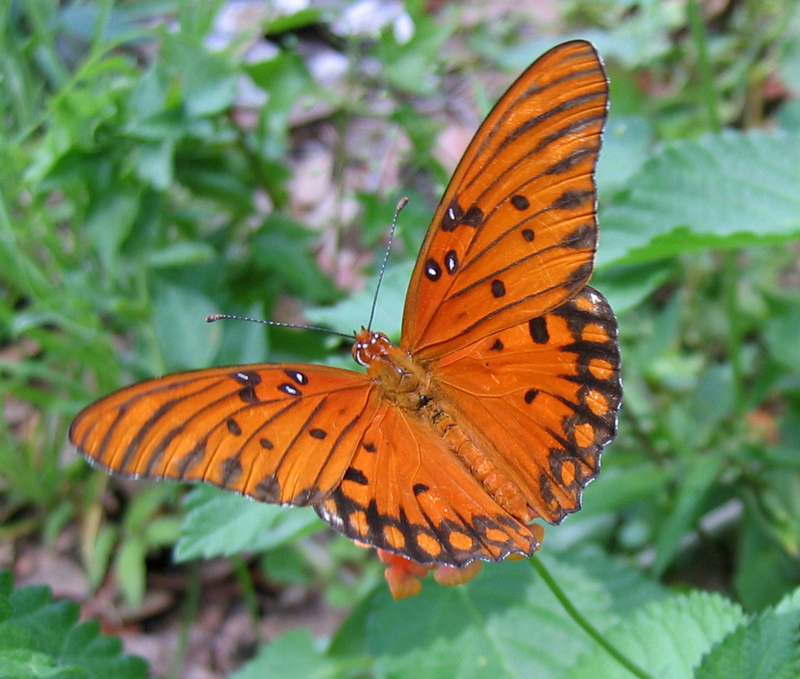 Can’t wait to see what kind of butterfly crop we get this year! I highly recommend the passion vine- a beautiful plant and stunning flower. 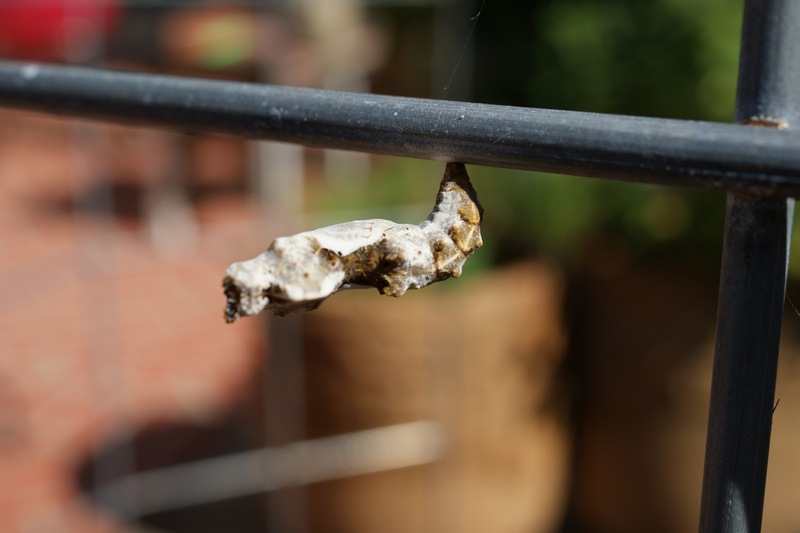 But you just need to be OK with it getting munched down to a nub once it has some caterpillars on it.